The FBI says it's opened a "parallel preliminary inquiry" in connection with the shooting deaths of three young Muslims to determine if federal laws were violated. 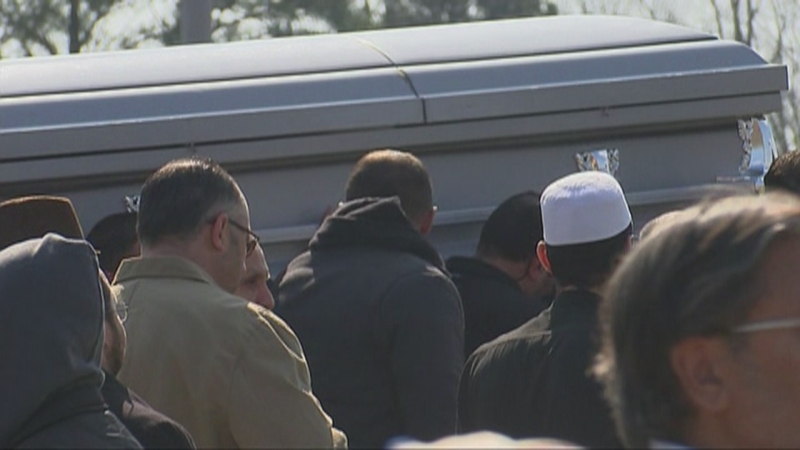 CHAPEL HILL, N.C. (WTVD) -- The FBI says it's opened a "parallel preliminary inquiry" in connection with the shooting deaths of three young Muslims in Chapel Hill to determine if federal laws were violated. 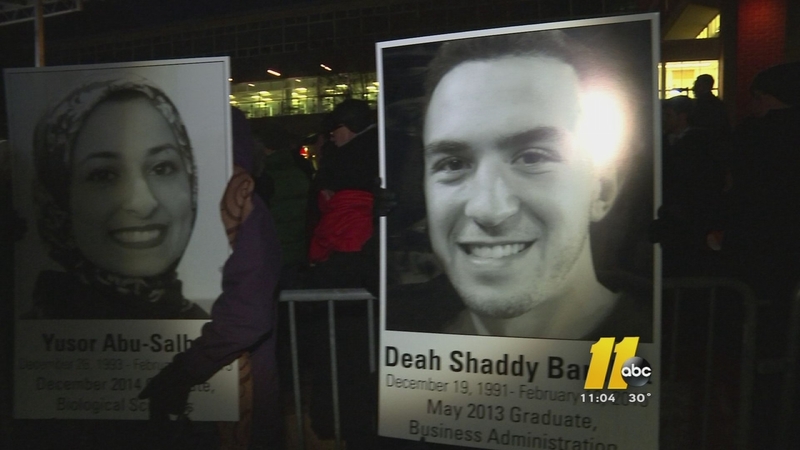 A statement issued on Thursday said, "The FBI is continuing to provide assistance to the Chapel Hill Police Department to process evidence related to a triple homicide investigation. The FBI has also opened a parallel preliminary inquiry to determine whether or not any federal laws were violated related to the case." Authorities say 23-year-old Deah Barakat, his 21-year-old wife Yusor Abu-Salha, and her 19-year-old sister Razan Abu-Salha, were killed Tuesday in the couple's Chapel Hill apartment. Police have said they are investigating whether religious or ethnic hatred motivated shooting suspect Craig Stephen Hicks in any way, and federal investigators have said hate crimes haven't been ruled out. Yesterday, the FBI opened an inquiry into the brutal and outrageous murders of Yusor Mohammad Abu-Salha, Deah Shaddy Barakat, and Razan Mohammad Abu-Salha in Chapel Hill, North Carolina. In addition to the ongoing investigation by local authorities, the FBI is taking steps to determine whether federal laws were violated. No one in the United States of America should ever be targeted because of who they are, what they look like, or how they worship. Michelle and I offer our condolences to the victims' loved ones. As we saw with the overwhelming presence at the funeral of these young Americans, we are all one American family. Whenever anyone is taken from us before their time, we remember how they lived their lives - and the words of one of the victims should inspire the way we live ours. 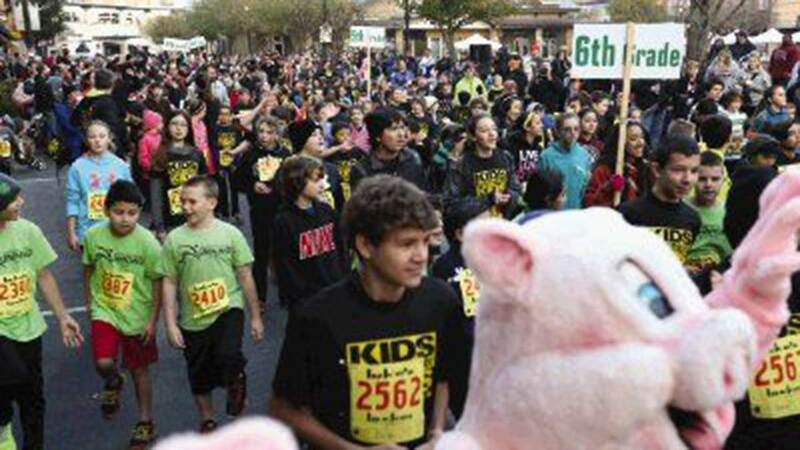 "Growing up in America has been such a blessing," Yusor said recently. "It doesn't matter where you come from. There's so many different people from so many different places, of different backgrounds and religions - but here, we're all one." Thursday night, the Wolfpack nation stood as one in the Brickyard to honor the three murdered students. Thousands of students prayed and hoped they will never see a tragedy hit this close to home again. Before heading to UNC for their dental degrees, Deah Barakat and Yusor Abu-Salah studied and met at NC State. Yusor's younger sister, Razan, was a sophomore at NC State. She was studying to be an architect. In a vigil that started in prayer, a grieving brother stood before the crowd after burying his brother. "My brother took his bride, Yusor, their bridesmaid, their best friend to the next world," said Farris Barakat. Finding strength in faith and standing through heavy wind, he shared the peace he felt saying goodbye. "Actually, today it snowed as we were burying them and to us there is sense of cleanliness and purity that comes from snow," said Farris. While federal investigators are trying to figure out if their deaths were a hate crime, there was no talk of hate -- only admiration from the chancellors of NC State and UNC. "Deah, Yusor, and Razan were a big part of the fabric the amazing mosaic fabric of this great university," said NC State Chancellor Randy Woodson. "I've learned that their Muslim faith, their belief, their families, have been what have driven and led their lives of service," said UNC Chancellor Carol Folt. Gov. Pat McCrory thanked students for their strength in the aftermath of tragedy. "For showing unity to the rest of the United States and to the rest of the world and sending a strong message of peace, of tolerance and of sending a message that violence is not acceptable," said McCrory. Even with talk of revenge and hate splattered all over social media, Deah's brother ended his address to the crowd with thanks and a message in going forward. "Please don't fight fire with fire," he said. "Ignorance is what killed my brother." Deah's sister also addressed the crowd in a last minute decision. While she's a Tar Heel, she asked the crowd to raise up their Wolfpack pride in a show of solidarity. Word from the FBI comes on the day funerals were held for the three shooting victims. Thousands attended Thursday's funerals and a call to prayer for the three shooting victims killed Tuesday in Chapel Hill. Amid chanting, men carried three caskets on their shoulders into the N.C. State University soccer complex in West Raleigh. The 5,500 mourners were not all Muslims. Muslim leaders from across the nation who attended called on them to address what they see as a wave of Islamophobia in America. "We are concerned that the rising anti-Muslim rhetoric in our society may have encouraged some to commit violence against American Muslims," said Azhar Azeez of the Islamic Society of North America. "So we urge the law enforcement to investigate this case as a possible hate crime." The father of the sisters who were murdered said he cannot believe that his daughters were executed simply because of a dispute over a parking space. "Please involve the FBI. Please investigate. Please look carefully. I have talked to lawyers. I have talked to law professors. This has hate crime written all over it," Mohammad Abu-Salha implored two U.S. attorneys who attended the ceremony. Also at the event were many dignitaries, including the chancellors of both N.C. State and the University of North Carolina at Chapel Hill. Among the non-Muslims was David Morrison an N.C. State senior who says Deah Barakat was his dental school mentor. Morrison, who will attend East Carolina University's Dental program, said he is devastated by the murders of Barakat and Barakat's new bride. "They were two of the most amazing people that I have ever met. And my goal here was to honor them and to dedicate what I'm doing. Like I want to be the man that Deah was. I want to be, I want to be the dentist that he was going to be," Morrison said as tears streamed down his face. "I hope that people can look past and just understand that the air we breathe is the same air. My heart beats just like Deah's heart beats." One Muslim leader sounded a conciliatory tone. Naeem Baig of the Islamic Circle of North America said he hopes the tragic deaths won't be in vain. "We are saddened but at the same time we feel that what they have left for us is much greater and bringing us together," said Baig. "And we will continue with the efforts of peace and love and sharing with one another." Just before the funeral got underway, Chapel Hill Police Chief Chris Blue and U.S. Attorney Thomas Walker addressed the media along with leaders from the Muslim community. Walker wanted to show his support for the victims' families. "We are here to show our solidarity with this community in their time of pain," Walker said. "It is important, very important that we all understand and know that law enforcement is here for the entire community." Blue acknowledged the day was for grieving, but he also wanted to reassure the families of the three young students who were murdered, he is working to exhaust every lead and every angle of the investigation. "I do want to take this opportunity and I won't speak much about the investigation today at all cause this is a time to be together," said Blue. "I would just recommit that we are examining every possible investigative angle to include the potential for hate crime." Meanwhile, Chapel Hill investigators returned to the scene of the crime with an ATF agent. Authorities won't say why, but the federal agency is known for investigating firearms and explosives. They went door-to-door trying to get more information about the man accused of murder. Neighbors said Craig Hicks didn't go unnoticed. "He was well known in the neighborhood. He was notorious," said resident Samantha Maness. Hicks was hyper-vigilant about towing, according to his wife. She says he considered it his personal mission to keep the lot in the front of his condo in order. "He said fine, 'I'll take care of my lot. I'll be the champion to make sure that the residents have a place to park,'" Karen Hicks recalled. "At one point, they took away all of our towing privileges." His obsession with parking played out in a December 2013 incident. Hicks is listed as an eyewitness to an assault on a tow truck driver. He called police. While investigating clues of a possible hate crime, police blame an ongoing parking dispute for the murders. One longtime resident claims one of shooting victims came to his door three weeks ago, asking him to move his car so that she could switch parking spaces. He worries it may have been a warning sign of what was to come. "She seemed pretty shaken up. She asked if I could move my car one space over," said Shadi Wehbe. "Someone had left a nasty threatening note on her car telling her to move it. I didn't ask her for details about what the note said. Wish I had at this point."